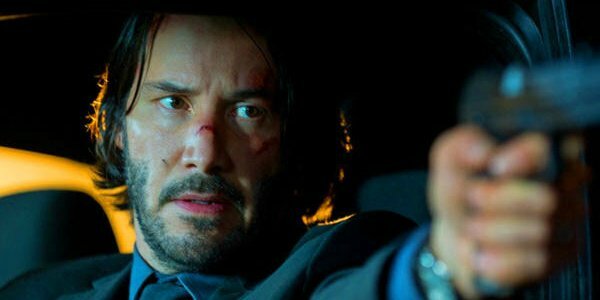 The original John Wick was a surprisingly good action vehicle for Keanu Reeves. The first film was a strong box office draw and that meant a sequel was more than likely. Now, we’re getting a bit more detail about exactly what will be part of the upcoming John Wick 2 and the first thing that will happen is a change of scenery. John Wick is going to Rome. The news comes via a recent Tweet from Box Office Analyst organization Exhibitor Relations. According to them, John Wick will be off to the Italian capital to do to the Italians what he did to the Russian mob in the last movie. The other piece of information we received from the tweet was the release date for John Wick 2. Unfortunately for fans, we’ll all be waiting almost an entire year before we see the return of John Wick. The sequel has been given a date of February 10, 2017. While not as soon as we’d like, it does make for a great Valentine’s Day follow up, if your significant other was a fan of Deadpool. While Italy sounds like a beautiful backdrop for John Wick 2 to use to murder lots of people, the timing could have honestly been better. We just got done with a highly anticipated sequel that moved its story to Rome. Zoolander 2 did not see a major benefit from the change. Maybe John Wick can hunt Derek and Hansel? One of the things that John Wick did amazingly well was create a world, a history, and a mythos for the lead character without having to delve into long monologues of expository dialogue. We know that the character of John Wick has a deep history that we have not seen. That gives the filmmakers some real options as far as crafting the story for the sequel. John Wick was one of the best hired guns in the world. You only have to pay attention to everybody else to see that. It would make sense that he had plied his craft all over the world so moving the story across the world doesn’t feel like a stretch. We’re sure there are people scared of John Wick all over the world. Just like the Russians were in the first film. We’re certainly looking forward to another outing with John Wick. The sequel will co-star Common as the primary villain and will also see the return of Ian McShane. We hope he leaves his new dog safe at home this time. We’re not sure we can watch another scene that terrible again.